+ Started to plan the wedding - Bought my dress, my shoes, fabric for the bridesmaids dress, bridesmaids shoes, and booked in a venue. + Went op-shopping once a week to find bits and pieces for the wedding. + Went for a road trip to the Raspberry Farm twice. 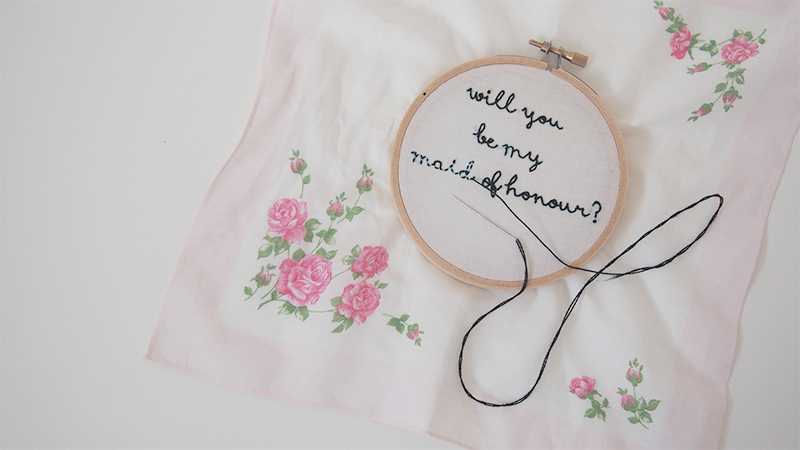 + Was asked to be a bridesmaid for one of my very best friends. + Tried to do a 7 day juice cleansing diet and failed miserably, have started a paleo diet instead. + Started a Harry Potter marathon with friends. + Read nearly all of the Harry Potter books. + Had a few very relaxing days by the pool. + Did a lot of planning for our upcoming engagement party. + Worked as a nanny full time for most of January. + Sewed 50m of bunting for the engagement party. + Took many drives to Rosevears with Matt (one of our all time favourite places, pictured above). 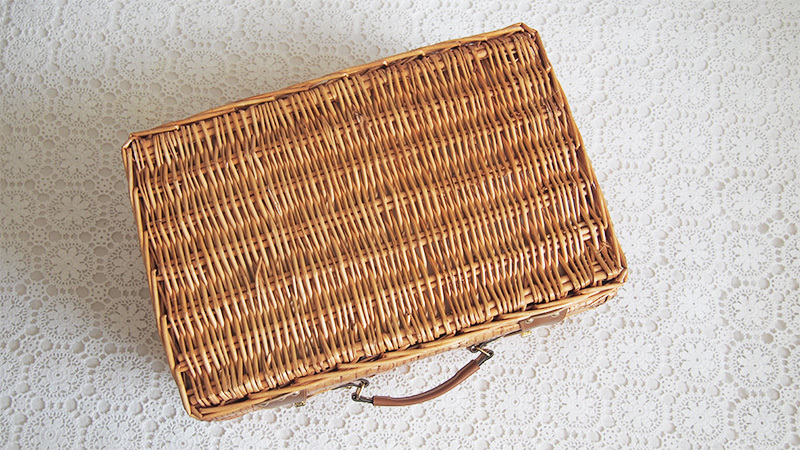 I haven't shared some vintage finds for a while now. Lately I have been going op-shopping every Tuesday as I have a long list of things that I need to find for our wedding and engagement party, and I recently discovered that the city missions in Launceston have half price Tuesday for students. The last few times I've gone I haven't really found much, but today I came home with quite a few lovely things! 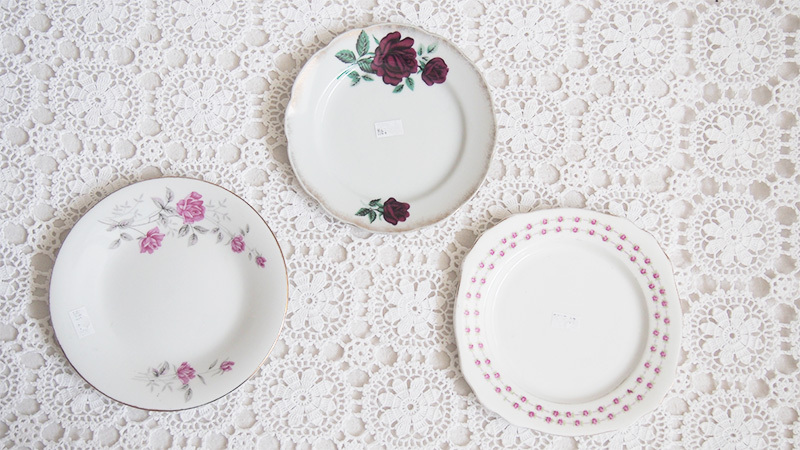 The first items I found were some cute cake plates. 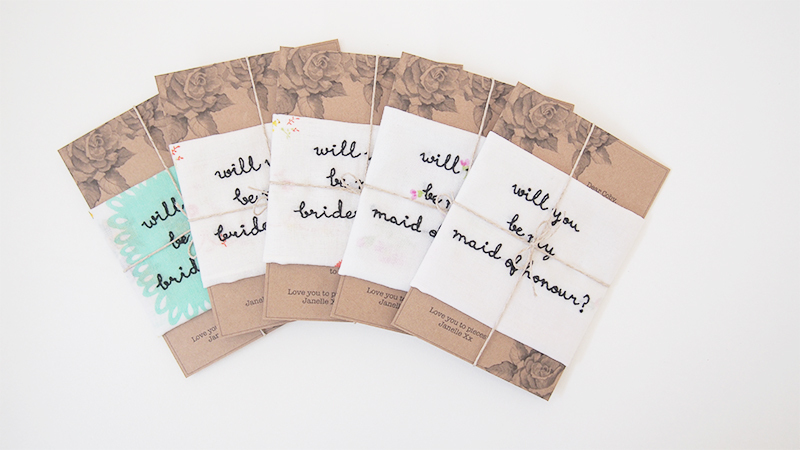 I'm collecting these for the wedding and so pick up a few every time I need to make up $10 to use my card. I thought that this trio was very cute together. 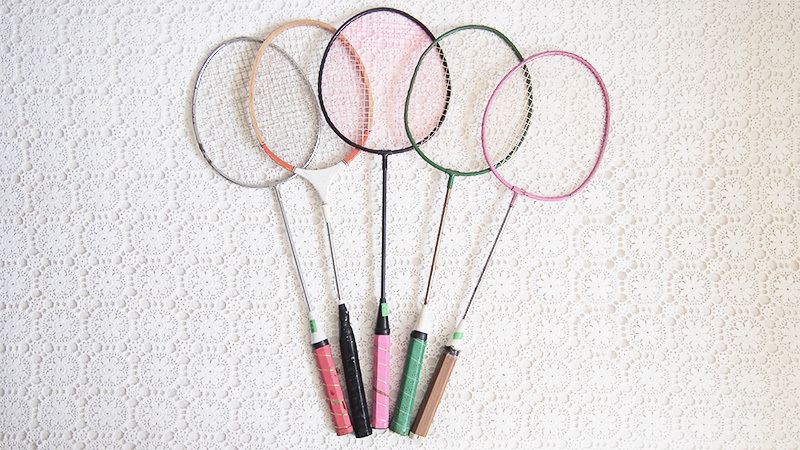 From the same op-shop I also picked up these lovely vintage badminton racquets. These were something on my list today and so I was very happy to find these five for just $1 each! 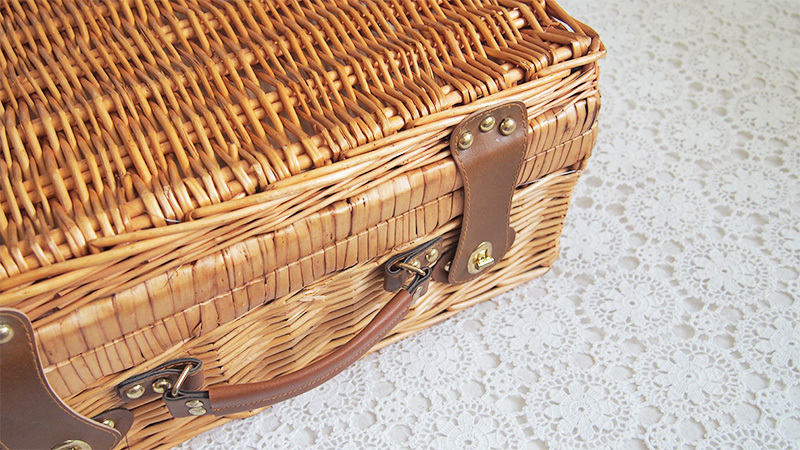 Probably my favourite find of the day was this amazing picnic basket! It is such a good size and such good quality, and when I opened it up I was amazed to find all the plates and cutlery packaged nicely inside completely unused! This one was also a bargain at just $7. 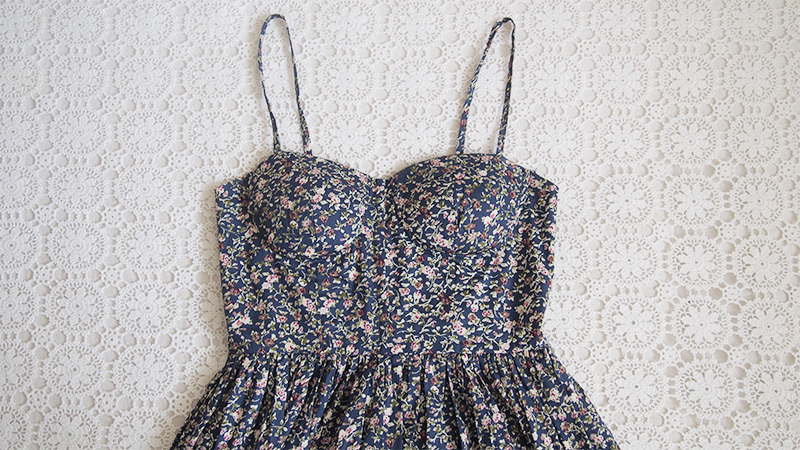 Also picked up this cute summer sundress for $2.50 (I really love student half price Tuesday!). What I love about this dress is that the skirt actually goes to my knees! I'm so over how short most dresses are at the moment are, so was very happy to find this gem. 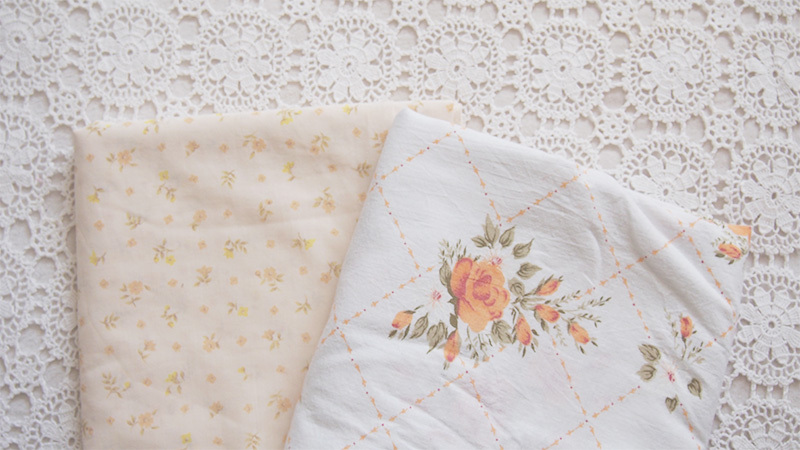 And lastly, I thought I would share some cute peachy fabric finds. 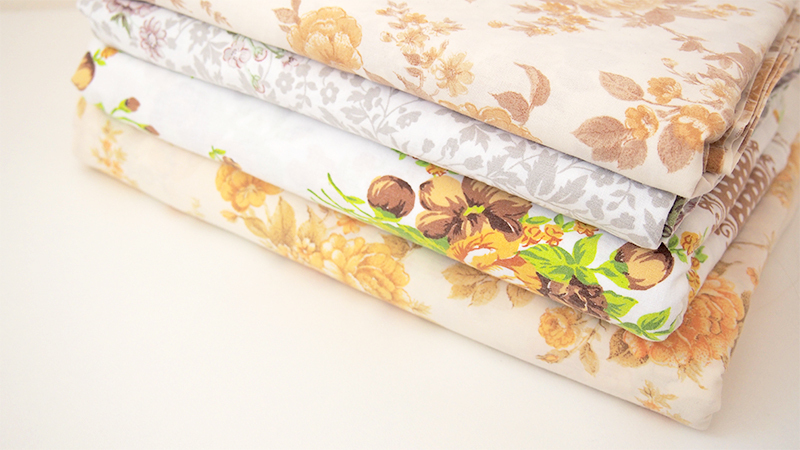 I'm going to make the peach and white floral fabric into a dress, but am thinking of using the other fabric to make a vintage inspired skirt to wear now that the weather is getting a little hotter. LOVE | Last week I purchased myself some new Saltwater Sandals (something that has been on my wish list for ages!) I love them so much and already know I will be wearing them all summer long. 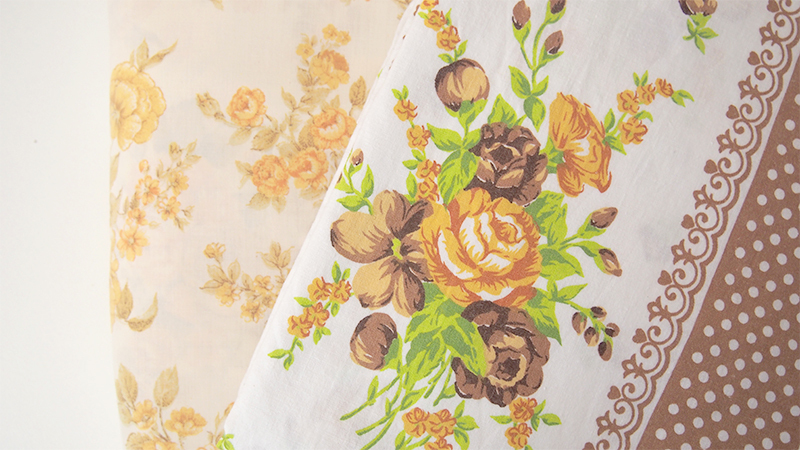 I think they will make the perfect pair with some of the pretty summer dresses I plan on wearing this season! EAT | Over the last couple of weeks I have been complaining about being hungry all of the time (I think it might be a side effect of some new medication I've started to take) and I found myself snacking multiple times during the day. I therefore decided to make some healthy coconut and date protein balls as they are full of lots of good things that really help to fill me up! They are actually delicious and taste like they are a bit of a treat even though they are really healthy. I used this thermomix recipe, but I'm sure they would still be easy enough to make without one. 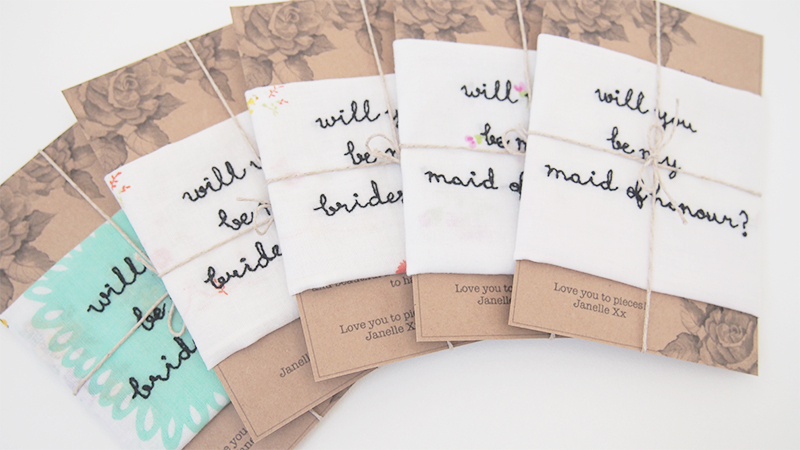 MAKE | Now that uni is finished for the year I'm able to start planing our wedding. 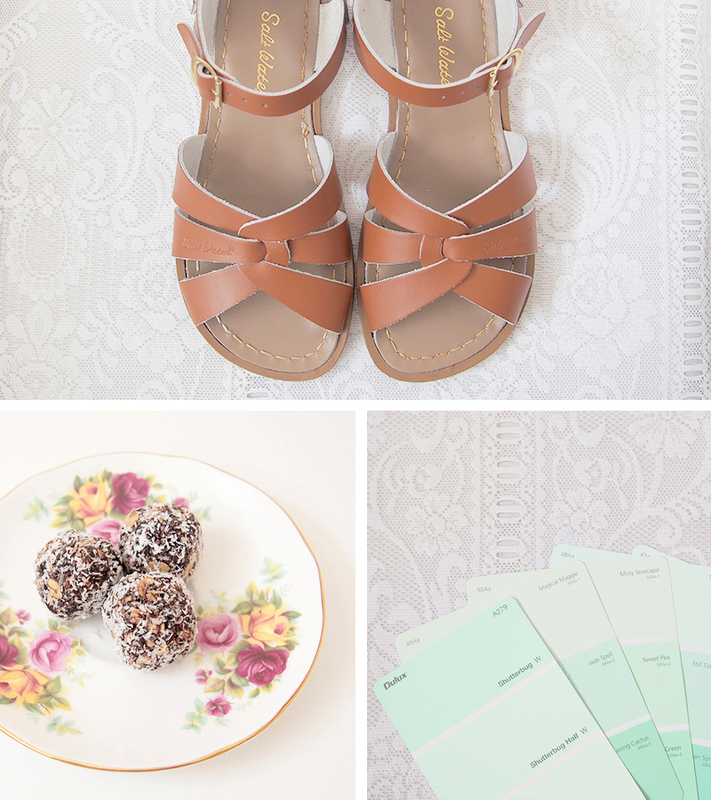 At the moment I'm working on an exciting wedding project that involves mint green paint. It has been a dream of mine for a while now to go to a paint shop and buy a pot of mint green paint and this coming Saturday that dream will come true! 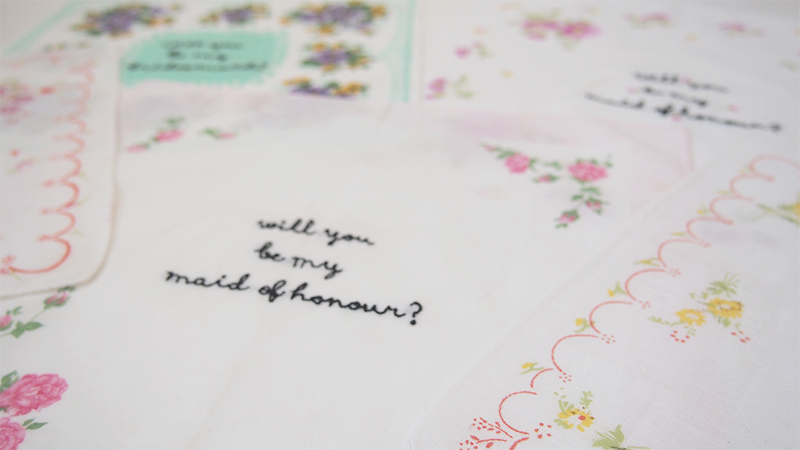 I don't know yet if I will share many of the wedding projects yet, as I want them to be a bit of a surprise for our wedding guests on the day. But I still like to keep you updated on some of the things that we will be working on and I will be sure to share most things after the wedding next year! 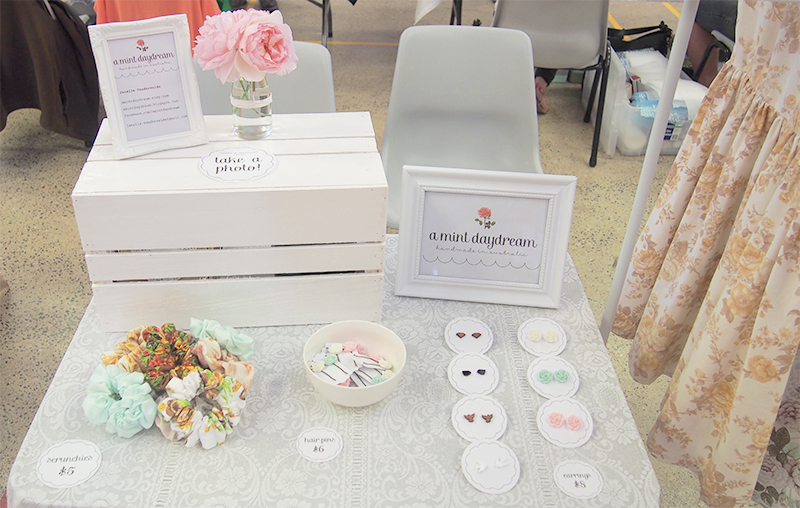 Last Friday night I had the pleasure of having my very own market stall at the Elizabeth Handmade Market. I really enjoy markets! 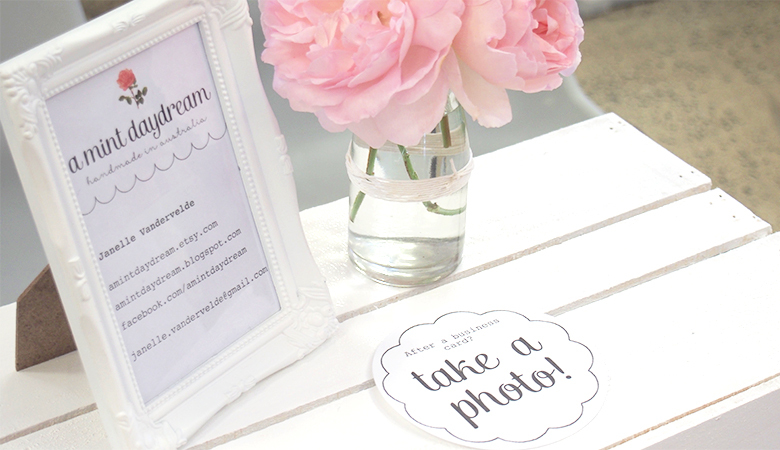 I loved busily preparing and sewing in the weeks beforehand, and styling my stall on the night (it makes me dream of having a little shop of my own one day!). 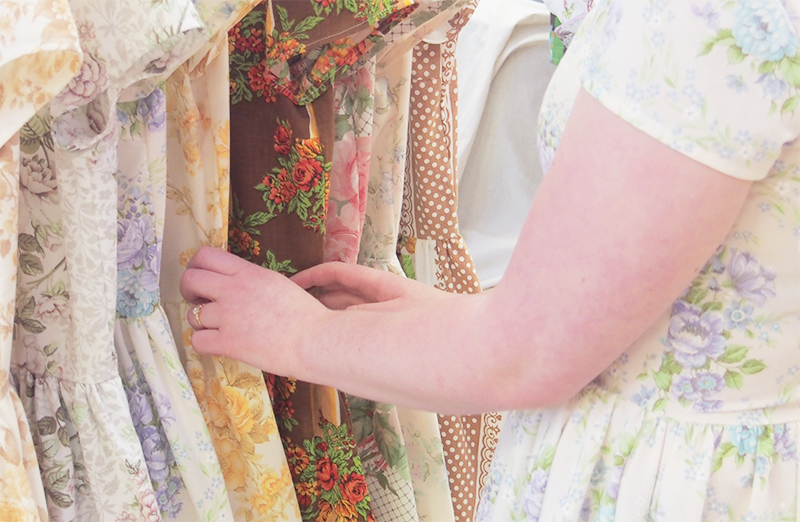 I also really loved talking to all the different people who stopped by my stall and shared memories that were sparked by the vintage fabrics my dresses are made out of. I was able to debut my new dress design after finally perfecting the pattern and people seemed to really love them! 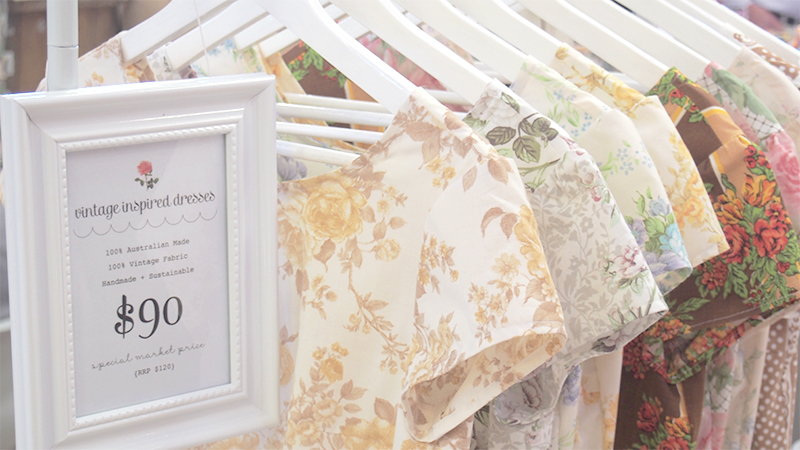 I have also chosen to make my dresses from vintage and pre-loved fabrics only so as to make them sustainable and uniquely one of a kind! I'm planning to have them available in my Etsy shop over the next week or two so if you've got your eye on one keep a look out for that! I had the pleasure of asking my beautiful best friends to be my bridesmaids over the last week or so and I thought I would share how I ended up asking them here. 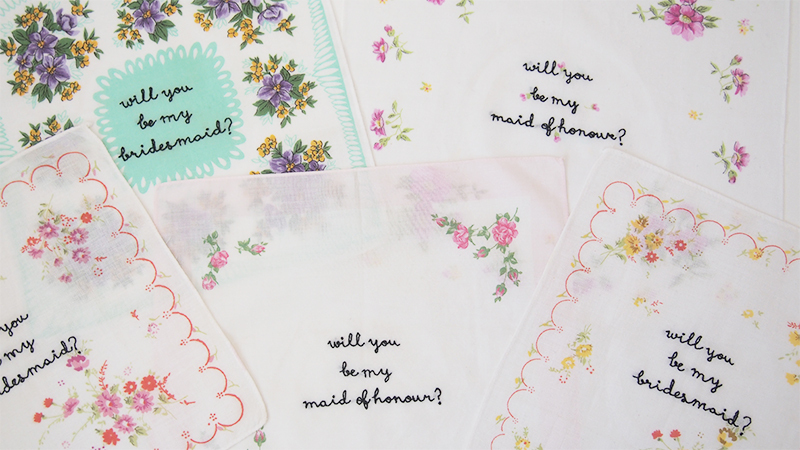 I knew that I wanted to make my bridesmaids something small and nice to keep as a momento and loved the idea of using vintage hankies when I stumbled across this, however instead of screen printing them, I decided to embroider them. 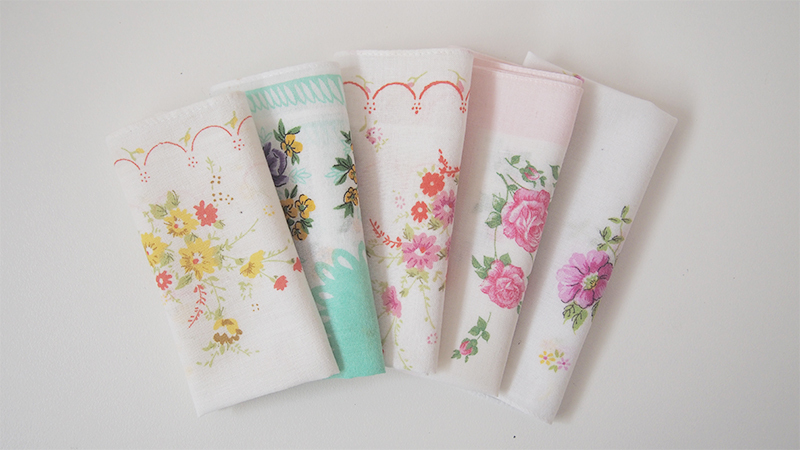 I already had quite a few vintage hankies but I was after some extra pretty ones and so after a lot of op-shopping, visiting antique shops and even looking on Ebay I finally found five of the most pretty handkerchiefs! The embroidery did take a little while, but I really enjoyed it and am very happy with the end result. The girls really appreciated their little gifts and we are now all very excited to start the wedding planning! I have been wishing for this beautiful book for a very long time now, and I finally have a copy of my own in my hands. 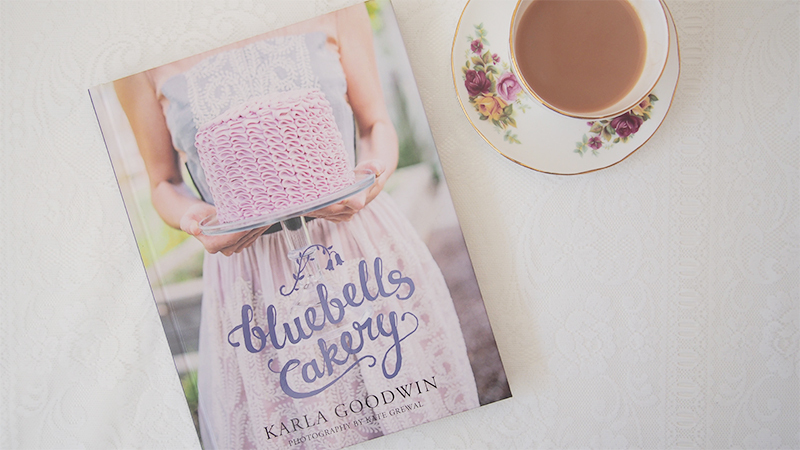 It's a book by the owner of the gorgeous Bluebells Cakery shop in Aukland, New Zealand (somewhere that I'm longing to visit and that looks as though it's straight from my dreams) and I can definitely say that it is now one of my most favourite books! 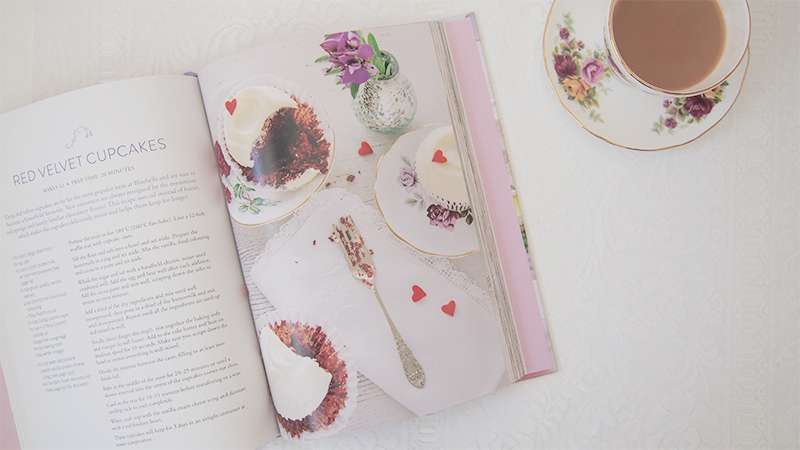 The photography and styling of this book is so beautiful and I am pretty sure I will try at least every recipe once in my lifetime! 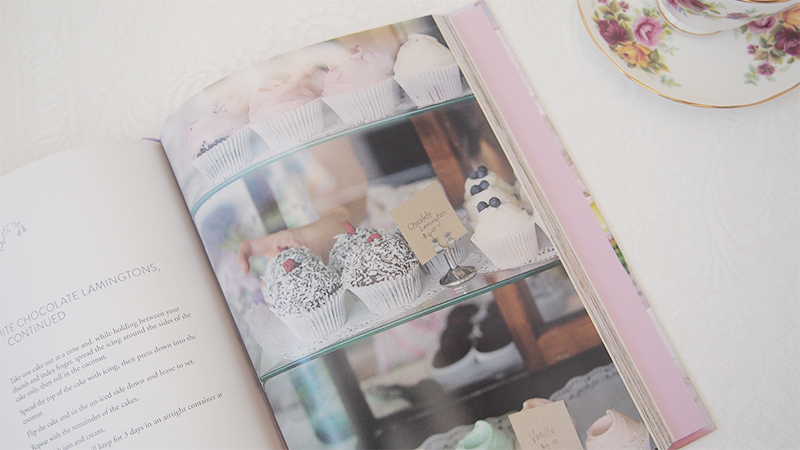 It has really put me in a baking mood and I'm excited to have a try of the raspberry and white chocolate lamingtons recipe soon! 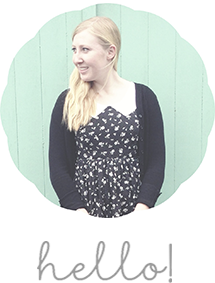 After a months break from sewing and blogging, I'm finally finished uni for the year! 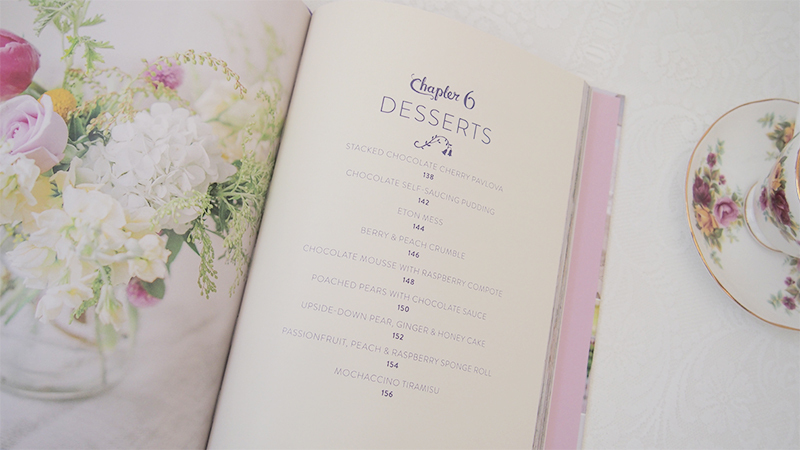 I'm very excited about this as now I can get back into the swing of all things 'a mint daydream'. 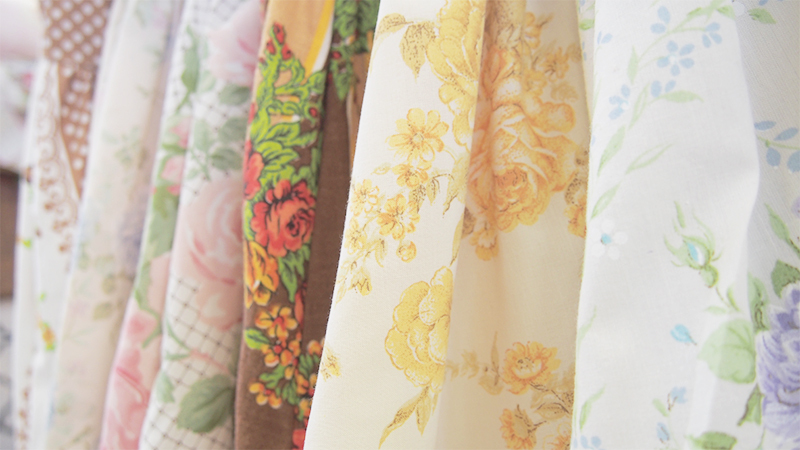 To get inspired, I decided to go op-shopping for the first time in a month and managed to find lots of pretty vintage fabrics for new dresses. I'm getting very busy making lots of dresses in my new design for an upcoming market that I'm going to have a stall at (I'll be sure to share more details about that soon!). Hopefully now I will be able to start blogging more regularly so be sure to check back soon for some new projects I've been working on and a few sneak previews of some of the dresses that will be available at my market stall!